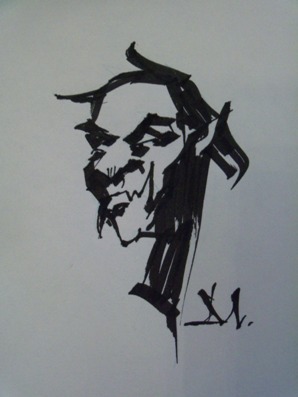 Signed, dated and remarqued by the cover artist Greg Manchess. 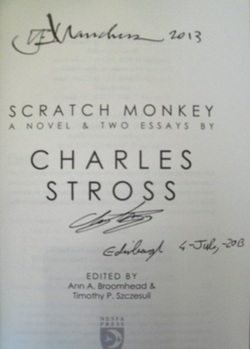 Signed, dated and located by Charles Stross. 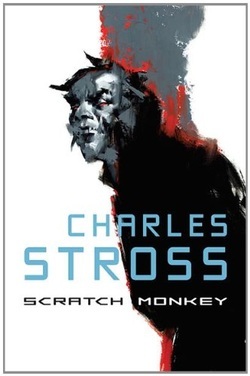 Synopsis : It contains his previously unpublished novel, Scratch Monkey, an essay about writing the novel, and a second essay about a writer's view of publishing. The novel is set in the distant future, when humans have spread through the galaxy, physically and virtually. We are not alone; we have created a race of AIs, the Superbrights, to administer and expand the virtual side of our presence in the Milky Way. Oshi Adjani works for a Superbright, traveling to worlds where her Boss cannot go, and solving the problems he has set her. One success reveals a secret of the Superbrights, so the Boss forces her into one last, deadly mission, with her freedom as her reward for doing the impossible.